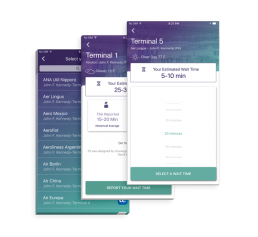 Ment is a mobile platform that gives travelers instant access to their security queue before arriving at the airport. 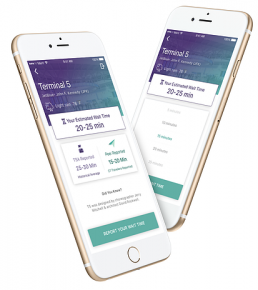 Ment gives you the estimated security wait time at your terminal so you can get to your flight seamlessly and stress-free. Rebecca Lima the founder and CEO of Ment spent a major portion of her life traveling. Check-in at airports is never simple, and to top it off the unpredictable security measures at airports result in additional wait-time for commuters. Considering this obstacle as an opportunity in disguise, Rebecca decided to make airport travels effortless and filled with social interaction. We use TSA historical information and real-time wait times, reported by fellow travelers, to give you an estimated security wait-time. Pick your airport and airline, and we’ll let you know the terminal. Our unique algorithm provides an estimated wait time using TSA historical data, crowd source and weather information that you can use anywhere and anytime. Geolocation enabled sharing provides authenticity to crowdsourced data. Ment App is will only allow sharing the wait time if you are in the proximity of the selected Airport and Airline terminal.